The spacious one and two bedroom residences of SOMA feature contemporary details and a sleek minimalist aesthetic that caters to the chic-style enthusiast in us all. With custom appointments and state-of-the-art appliances throughout, SOMA delivers on all the comforts and simple luxuries of home. The residences are also designed to achieve LEED silver rating and promote an energy conscious lifestyle. 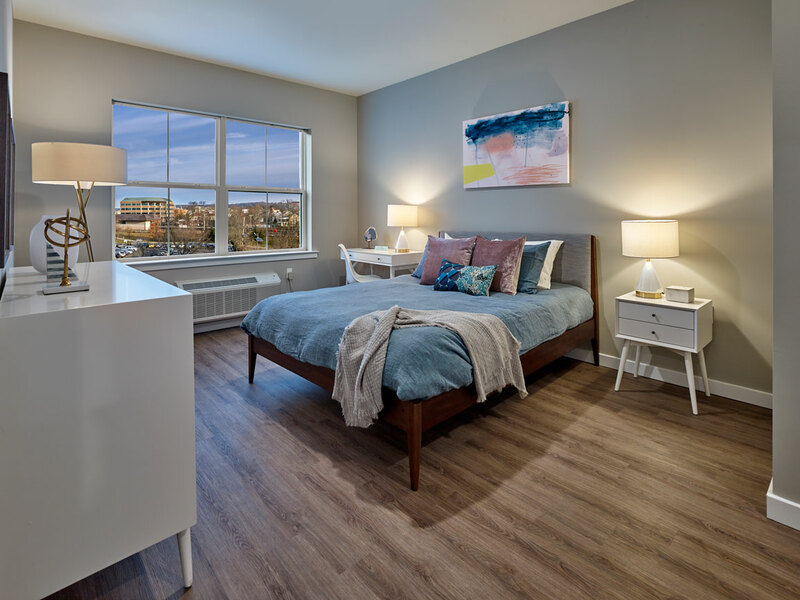 contemporary flooring, LED lighting, graciously expansive layouts and oversized windows that allow a flood of natural light into these beautiful and sophisticated homes. ​​The designer kitchens of SOMA boast European style cabinetry with soft close drawers, Quartz countertops, and stainless steel Energy Star appliances. 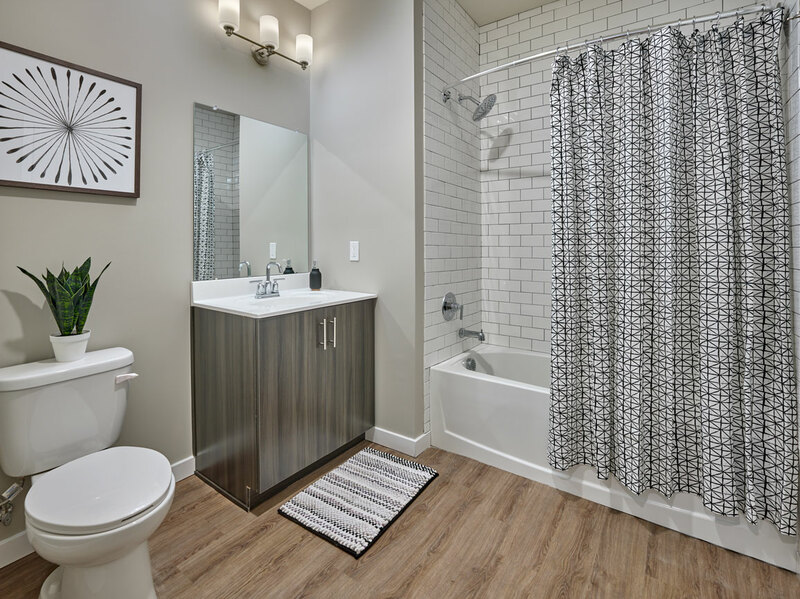 Residences feature subway tile shower surrounds and backsplashes with Moen faucets and shower fixtures.